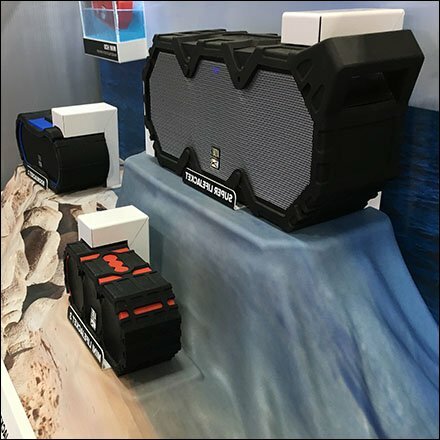 Waterproof, Snowproof, Shockproof this Altec Speakers Display Take On Topography proclaims they even float. The display features them across a range of rugged topography and environmental settings. This point-of-purchase display says outdoor tough. There is even a “Just Listen” button as a Try Me. I wonder if you can hear the surf in the background of the sound test. Explore the topography from a variety of angles in the Altec Speakers Display Take On Topography gallery of Images. Seen at Best Buy.